Many of the color names that make up Pantone's comprehensive color catalogue sound good enough to eat. 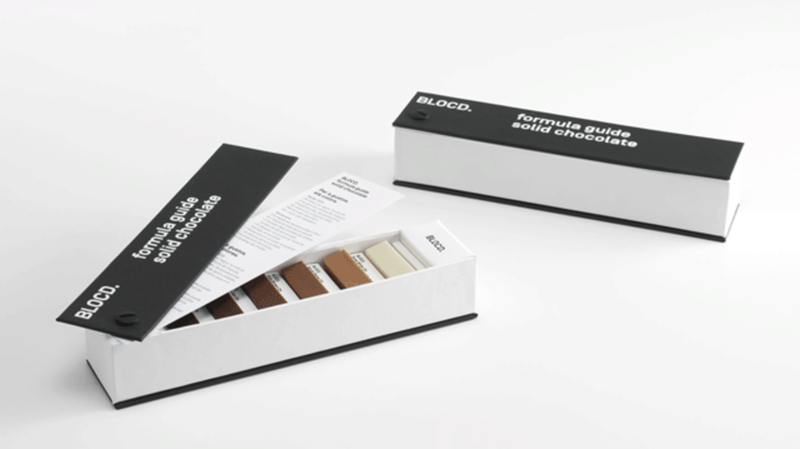 Now, as Trend Hunter reports, you can do just that with BLOCD's new Pantone-inspired chocolate box. The box from the Barcelona-based design agency spreads open like a book of paint swatches, revealing a spectrum of different chocolate shades, ranging from white to dark. The lightest rectangle of chocolate is labeled "Snow White," and the progressively darker chocolate blends fall under names like "Sandy Beige." According to their website, the designers at BLOCD made the boxes as Christmas presents for their customers and friends. "If anything defines us, it’s our expertise with a solid background in graphic design," they wrote. "That’s the reason why we chose Pantone, an indispensable tool for any designer, combining it with an appreciated product by our clients and friends, in this case chocolate." Check out more images of the stylish confections below.